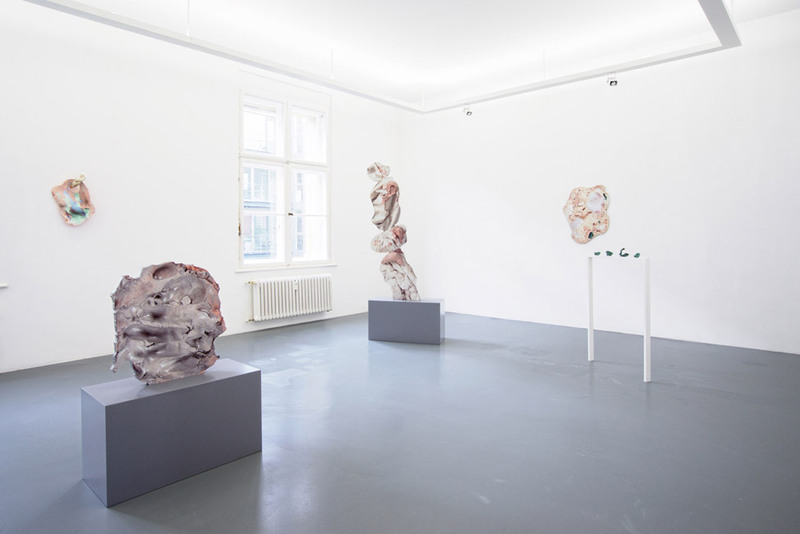 Rachel de Joode’s second solo exhibition at Neumeister Bar-Am interrogates a contemporary agency of ‘things’ and how we engage with them as surfaces. De Joode is interested in ‘Zwischendinge’, a between of things, which for example includes the question of how one thing causes or effects another. 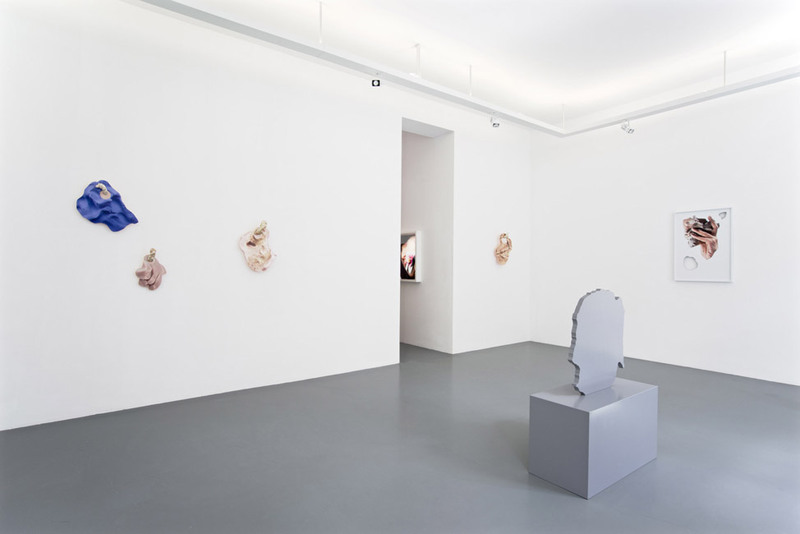 Connections such as between her skin and the clay she moulds, between the object and its photographic representation, the organic and the artificial or the revealed and the concealed. She argues that all of these ‘Things’ and their ‘Betweens’ have equal agency. The point of engagement between us and things are at their surfaces: what is visible. De Joode interrogates materials traditionally associated with sculpture, investigating the inherent aura of the materiality she handles with deliberate naiveté, playing with their existential qualities, which she then abstracts. 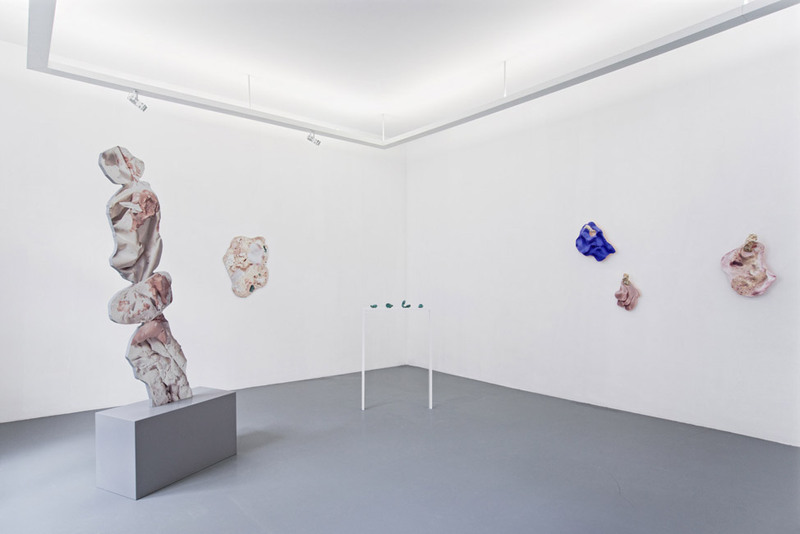 For example she squishes clays alongside matter including chewing gum, plaster and bronze result in alien sculptural forms. Either by traditional methodologies, such as glazing, or by being condensed into a new surface by way of photography and restructured again via photoshop, printing and routing. Beyond each material or object, as in all of De Joode’s exhibitions, ‘Surfaces’ sketch new relationships between artworks, the exhibition space and the subsequent representations. Devising a relational system where the references, including the resultant documentation of individual objects, become new abstract agents. Rachel de Joode (b. 1979, The Netherlands) lives and works in Berlin, DE. She studied time-based arts at the Gerrit Rietveld Academie Amsterdam, and is currently a visiting scholar at the University of Cincinnati, OH. De Joode is the founder and art-director of the online magazine Meta Magazine and founder and curator of the art auction house de Joode & Kamutzki.